Daniel Thornhill has been a patient at Spinavita for a number of years. He is a professional motocross rider at the top of his sport at both British and International level. 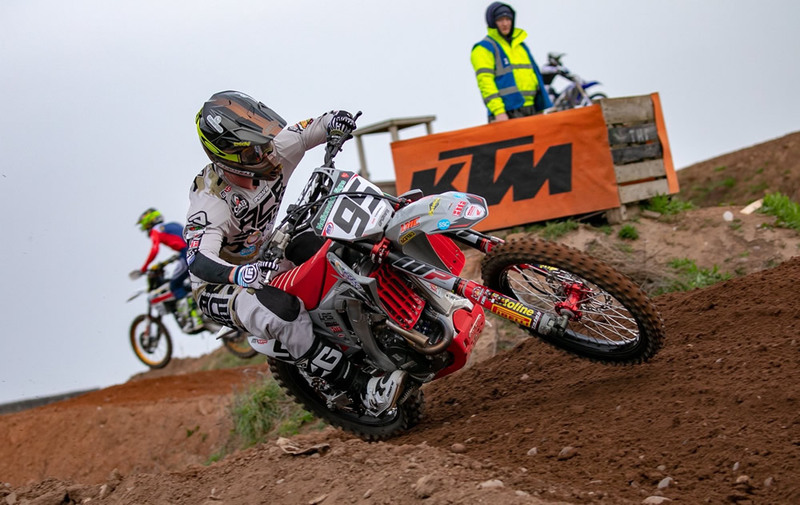 Unfortunately at the end of the 2018 motocross season Dan suffered two traumatic posterior shoulder dislocations (ouch), which required shoulder stabilisation surgery. Surgery went well and within a few days of the surgery being completed a team of clinician’s at Spinavita devised a three month post surgery clinical programme which was mainly focussed on rehabilitating Dan’s shoulder to get him back to competing in his sport. We started the treatment plan just a few days post-surgery, firstly concentrating on restoring range of motion and basic function, then moving onto restoring proprioception (joint awareness) and basic strength. This included weekly treatment sessions with our Chiropractors and Sports Therapists. Next up was more weight bearing work to increase strength, specifically working on stabilising muscles (serratus anterior and the rotator cuff in particular). At three months Dan was ready to move onto more strength and conditioning based training. George Salter our Sports Therapist at Spinavita took charge on this as he has a small gym setting at his home in North Nibley. Dan has been attending sessions there with George working on muscular endurance and strength under fatigue with more circuit based training, aiming to replicate the demands on the shoulder that racing would present. At only 5 months post injury on Sunday 10th March, all the hard work had paid off, Dan was back on his bike ready for the 1st round of the British Championship 2019 (this was a real source of joy for us all to see). Not only did he make it to the starting line, he managed an 8th place overall! He really is a SUPER STAR! Everyone at Spinavita would like to wish Dan good luck for the rest of the 2019 season. We continue to work closely with Dan to ensure he remains at the top of his physical ability to continue to perform at the highest level. Find out more about our Elite Athlete Programme and Dan Thornhill by clicking the buttons below.